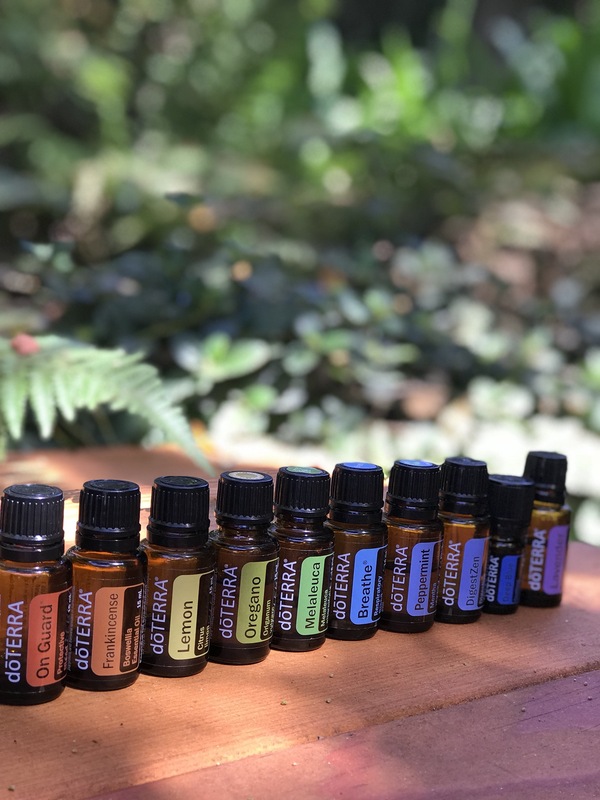 I know signing up for the wholesale membership can be confusing if you are not familiar with the doTERRA website… so I am going to walk you through the process and hopefully simplify it for you. The wholesale customer membership (25% off retail) is very similar to a Costco/Sam’s Club membership in the sense that you sign up and renew once a year to get their wholesale prices. $35 is the initial fee and $25 a year after that however doTERRA sends you a free bottle of Peppermint every time you renew ($27 retail value) so it’s really no cost to renew when you account for the free yearly oil. Also, you can sign up as an Wholesale Customer or a Wellness Advocate but that doesn’t mean you sell as you can read below there are no requirements or monthly minimums to meet…just purchase whenever you want. You can just use the account as a wholesale account as well and never have to sell unless you decide to down the road as you become more comfortable with the oils. Although selling the oils really isn’t the right way to word it…its more just sharing the oils you love & use everyday with your family and friends. See the images and text to below to help explain the signing up process. Go to my website by clicking this link and it will bring you directly to the beginning of the sign-up application: www.mydoterra.com/samanthahuddleston. Select Wholesale Customer or Wellness Advocate option (see the screenshot image below)… Both memberships will give you the deepest discount (25% off) but will in no way require you to sell the products or purchase products. Unless, you would like to share doTERRA oils and become a wellness advocate, please message me with any questions on that or see the Becoming a doTERRA Wellness Advocate blog post about how the company works/how to make money doing so, by clicking here. UPDATE as of September 2016 — you will either sign up as a Wholesale Customer with no requirements of any kind just the deepest discount or as a Wellness Advocate if you have a desire to share these oils with others. See Wellness Advocate blog post above and if they might be a good fit for your lifestyle. It’s an amazing opportunity to help others! So either Select “Wholesale Customer” or “Wellness Advocate” and then continue. You will see my doTERRA ID number at the bottom of the application-4732. Fill out this application like any other form…they require your SS# only for tax purposes (see the SSN explanation above). As of May 1st, 2015 unless you plan to do the business side of doTERRA…you no longer have to provide your SSN. As of September 2016, if you selected “Wholesale Customer” you are not required to put your SSN in at all. You can also see info I have compiled on the more popular starter kits, by clicking here. If you decide you would rather create your own personal list of oils…you can do that as well. Kits are just the best deal because they are bundled and offered at a lower cost. Please select the Introductory Kit option for the $35.00 (that is your membership fee) and then use the drop down menu to add on all the oils or diffusers you would like to purchase. Loyalty Rewards is completely optional but if you have already decided you would like to participate you can setup a shipment for next month. Click the LRP link to see more info about the reward program...you can change the dates of when the oils are shipped and the products you want every month. It’s an awesome program that I have been using for quite awhile now and I am now getting 30% back on all my doTERRA purchases ($30 of every $100 I spend back in oil credits). The program is so wonderful & flexible some months you might need just a lavender + an On Guard or some months you might need a handful of items but you get rewarded for the purchases you are making. Email me with questions here: samanthahud@yahoo.com or text me with questions 910-849-9269. You will then make your payment and submit your finished application. Once your application has been successfully submitted you will be given a member ID number so that you can access your virtual office for ordering & Loyalty Rewards orders, etc. Write this down or keep the confirmation email of your member number and the password you made so you can log on at www.mydoterra.com. Also, please check out my website every month for the monthly welcome gifts for signing up with a wholesale account and a 100PV order enrollment order. I also have a welcome gift for trying out the LRP program as well with a 100PV starting order (you can change it to whatever amount you want after the first month). Message me for details! Thanks so much! I am so excited for you to sign up and for you to try these oils! They are truly life changing and such a gift! Join our Oil Fam Community! Please use your oils safely. You know your body and your family the best! Always consult your doctor before getting off any medicine. We are just moms, dads, and people who want to take a natural approach to our healthcare but we are not doctors. Essential oils are powerful plant gifts and need to be treated as such. Less is more, friends!